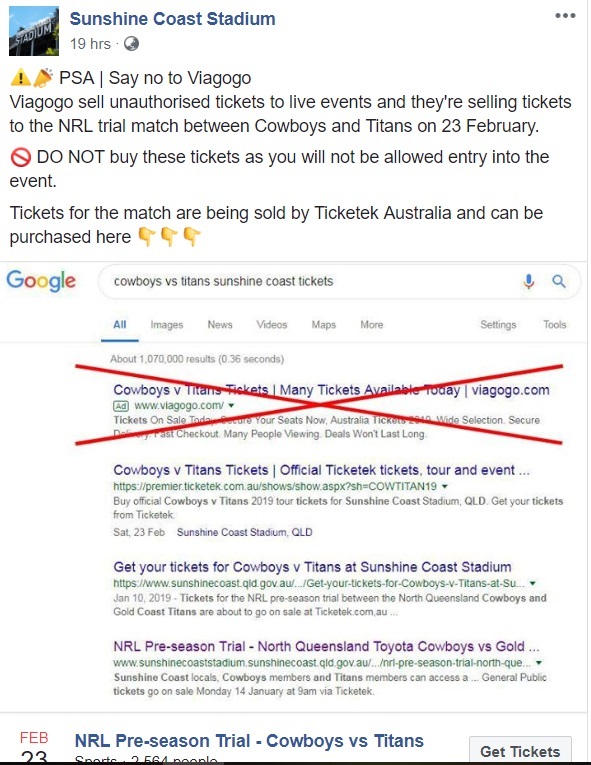 Just saw this on the Sunshine Coast Stadium facebook page. Player and Ex-players rarely watch the games they aren't being paid to watch or commentate on. Opinions are typically based on other peoples sentiments. You'd think that people paid to call or opin the games would consider it part of their professional obligations to watch all the matches. That's exactly right. They do. I'm perplexed at the amount of negativity on here! It's just my sensitive soul aching. They don't watch all matches. Not negative just facts. Surely, just like you or I...Corey could weigh up all the evidence and come to his own conclusion. Just because it's reasonably positive (and he's an ex stinkin' bronco) doesn't mean he's wrong/didn't do his due diligence before writing his opinion. As for ex players that are now paid to comment on weekly games through newspapers, television and social media not watching games they're not paid to watch......how could you possibly know that for a fact. Sounds more like a bold assumption. Ruan Sims jumps to mind. But others have stated they don't watch all the games (especially players), I would suggest commentators may find it difficult to watch all the games given their off field commitments etc straight after a game when another starts. Coreys comments above are the equivalent to sitting on a fence and stating the bleeding obvious. Bloke off the street or Corey could have said the same thing. I'm happy that you're shaking your pom poms for the team. I keep thinking that Titanic should get onto you regarding the podcast. Over the last two seasons us members and fans have had to cop some disgraceful wallopings that have embarrassed our community. It’s a key point that needs addressing and Parker is trying to be a populist and his asserting something so untrue is damaging. The current playing group have from time to time turned it up and it must be confronted Not glazed over. Rose Coloured Glasses is not what’s required. Mate....I'm going to need new flags and pom poms before kick off in round one hahaha!!! I wish more people on here were a little more forthright in their support. It seems the majority of people posting on here want to revel in disappontment and fly the victim flag....all in the name of, "Don't get excited, because it could turn out bad and we will get upset". I have a couple of mates that are Titans supporters that say they wouldn't bother joining up here because it's so negative. I'm trying to change that perspective...but truth be told.....I could use some help. There should be so much more positivity around, especially at this time of year. Is anyone with me??? If we are positive now, and later we fail...that's our cross to bear, and we'll deal with it just fine. But for some on here to encourage others (I'm not saying you, mate!) to not get excited, post positively and skite ourselves up.....I don't get that at all. To sacrifice hope and expectation for continuous misery and playing the victim card is so sad. It's a new year. Screw the past. Go the Titans!! ^^^That would have made a good membership drive catchcry! Love the optimism, positive vibes and the articles you're posting, keep it up. It’s a Forum. We don’t have the history of the Melbourne Storm. Our forum accurately reflects our past history and the challenges we face. In summary-It’s a Forum. Appreciate the articles and the opinions of everyone. There’s a Catch 22 in preaching positivity by having a go at others. Last edited by Mr Bods; 13-02-19 at 01:18 PM.